Like many before him, TATE SHERIDAN has wrestled a fixation with perfection. A celebrated piano virtuoso, the concept of acceptance or even delight in flaws wasn’t immediately conceivable. “As a younger musician, I was really obsessed with like, cleanliness and you know, everything sounding slick. But as I’ve gotten a bit older, I’ve realised that it’s just, that’s not what it’s about at all. Loosening the grip on years of jazz school harmony, Sheridan’s third EP, Angel Man, is consciously less preoccupied with polish. The result is both deeply personal and emotionally freeing. “I think there was a point in the studio, maybe a couple of years ago, where I was really stressing to get a good take of something. [People] would say, ‘man, it’s okay, you know, sometimes the mistakes sound better’. Having long expressed an affinity with the iconic storytellers of the late sixties and early seventies, Sheridan elected to record Angel Man entirely on analogue – despite a total lack of experience with the medium. The description of the session at Queanbeyan’s Infidel Studios conjures up visions of a past time; reels of physical tape spinning and feeding into the machine, and the exposure that comes from forgoing the ease of digital editing. Sheridan recorded the EP with a crew of friends and contemporaries – Brendan Keller-Tuberg on bass, Chris van der Wielen and Sam McNair on guitars and Jamal Salem on drums, with mixing and engineering input from Lou Montgomery (Slow Turismo). Though Angel Man was written solely by Sheridan, the experience was deeply influenced by a stint in Nashville, and a confronting foray into co-writing. “I don’t think I’d co-written anything in my life until I landed in Tennessee. I was so worried about it you know, you play something, and what if someone goes, ‘oh I hate that, we’re not doing that’. It’s scary. There’s a particular fondness for ‘Starting Again’, the record’s closing track. “It is such a simple song in the nature of harmony and melody, it’s very personal, it’s very intimate. 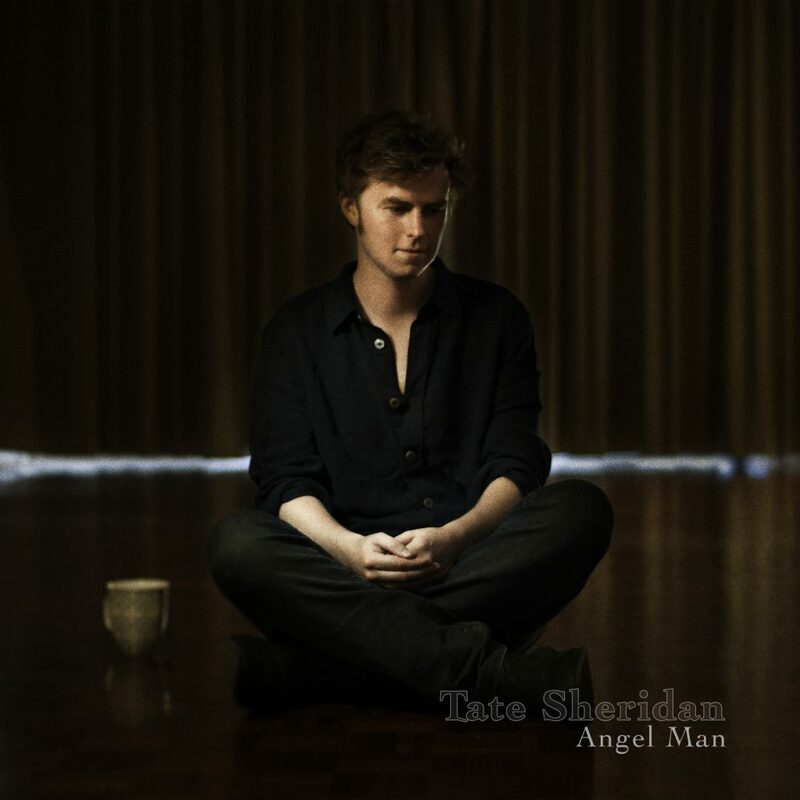 TATE SHERIDAN returns to Smith’s Alternative with his band for the launch of Angel Man, February 24 from 7:30pm. $10/$15 on the door.